Use this kit to create a wood-fired stock tank hot tub! Inspired by HomeMade Modern’s brilliant (albeit, labor-intensive) DIY wood fired hot tub, we sought a simpler solution. Enter the Solo Stove bonfire. It’s the simple and stylish way to heat your stock tank pool in the off season! Use it for your very own wood fired hot tub! Not only is the stove aesthetically pleasing (like your stock tank) but it is highly functional. 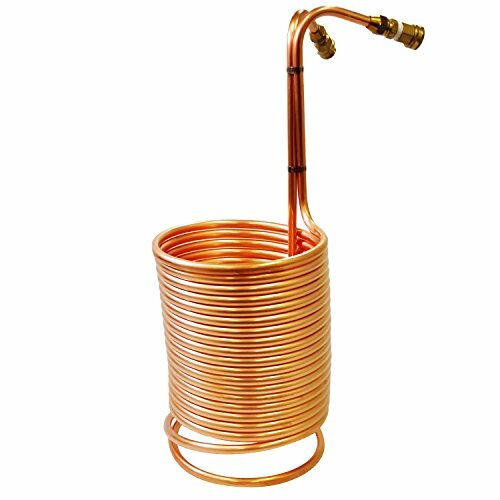 Just add the heat exchanger (also known as a ‘wort chiller’) and two leader hoses and you’ll be able to enjoy your stock tank pool all winter long! In just 3 hours you can raise the water temperature by up to 40 degrees (depending on the size of your stock tank). 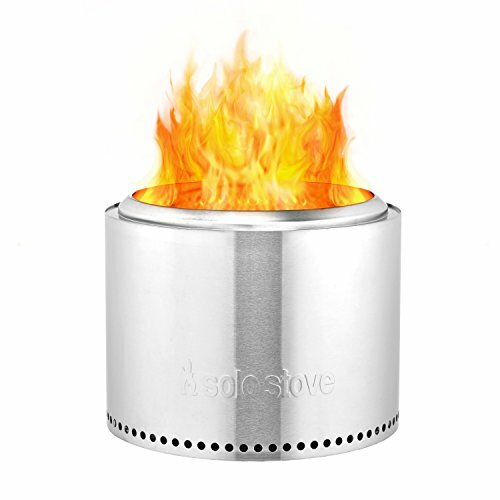 Step 1: Get your fire going in your stove! Be a sure to place the stove within 2-3 feet of your pool and on a level surface that can withstand the heat. Step 2: Connect the two hoses to the heat exchanger and submerge them in the pool. You’ll need to completely fill the pipes and hoses with water. Important, don’t skip this step! Step 3: Next, pull the heat exchanger from the pool, but leave the ends of the hoses draped in the water to prevent water from draining. Place the heat exchanger inside the burn chamber of the stove. Yes, inside. Don’t worry, the copper won’t melt as long as there is water in the tubes (step 2). That’s it! Keep your fire going until your pool reaches the desired temperature. Don’t I need a pump? Nope! The thermosiphon effect uses natural convection to circulate water through the heat exchanger. Just be sure to prime the tubes first in step 2! You should verify that hot water comes out of one hose so you don’t melt the copper tubes. Quite simply, the Solo Stove is super-efficient, meaning it heats much faster than open fire pits. It uses the same principles as the popular rocket stoves on Youtube but saves you hours of welding, cutting, and painting. The patented air-flow of the Solo means it burns logs completely while minimizing smoke. Just drop a heat exchanger from Amazon inside of the chamber, it fits perfectly! The Solo burn logs, larger sticks or woody debris, to fuel the fire while the air intake holes on the bottom pull air in towards the fuel source. While air is being pulled in, the double-wall construction allows air to be heated up and fed through the top vents providing an extra boost of pre-heated oxygen, creating a secondary combustion and a beautiful flame that your family and friends will enjoy watching! The stove is very nice looking and matches the look of your galvanized stock tank! And at just 20 pounds, it’s very lightweight and easy to move around your yard for bonfire nights anywhere! Interested in a propane solution? Check out the propane kit!